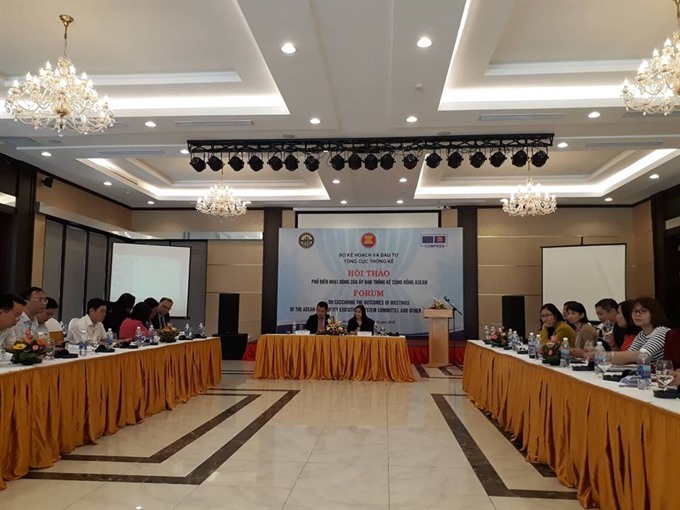 The ASEAN Community Statistical System (ACSS) made a great contribution to the ASEAN economy, said Nguyễn Thị Hương, deputy director of the General Statistics Office of Vietnam (GSO). Representatives attend the seminar on the ASEAN Community Statistics Committee. — VNS Photo Thu Trang. ACSS ensured the highest level of trust, accountability and professional standards in production, gave education on ASEAN statistical products and services and enhanced user satisfaction, he said./.